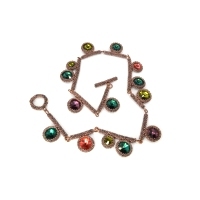 Learn how to use simple beading techniques to recreate the look of an ancient piece of jewellery. 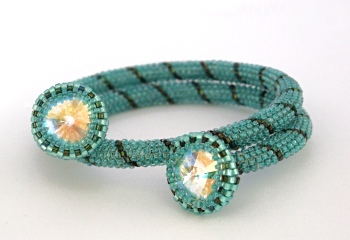 Inspired by the work of Miriam Haskell and the idea of replicating metal jewellery using beads and setting Rivolis as though they were precious stones, this bangle evolved into a easy to create, peyote stitch project. 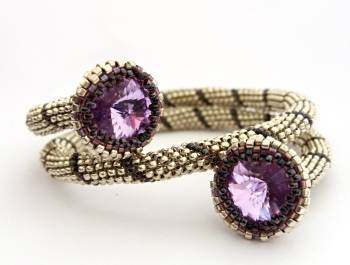 This complete 5-page step-by-step tutorial contains all the instructions, diagrams and photos you will need to make your unique bangle. 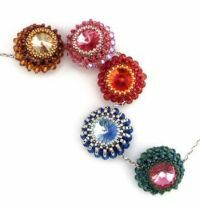 This project appeared in the February/ March 2011 issue of Beadwork.